Hotel Dana este situat la 120km de Bucuresti, pe malul lacului Amara. 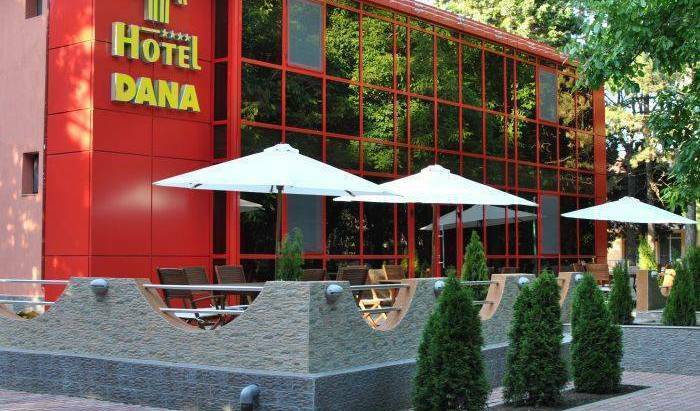 Renovat in totalitate in anul 2010, Hotel Dana ofera confortul si intimitatea sejurului dvs prin servicii de calitate, camere decorate modern si utilate cu aparatura de ultima generatie. As a guest of Dumbrava Hotel, you will enjoy 4-stars comfort and refinement, which will turn the moments spent with us into pleasant memories. The Deer Meadow in the middle of the Baciu Forest hosts today the SunGarden Hotel and Dining area, the SPA, the Eden events hall, the Roman Plazza, the Venice Plazza and Outdoor Pool, the Chapel, the Lake and the Golf Course. Cazare buna la pret mic ! Pensiunea Noel*** asigura turistilor conditii de 4* intr-un cadru intim si ospitalier! Ciucas hotel has 238 acomodation places, divided in 103 double rooms, 13 suites and 3 suites, equipped to European standards of 3 stars. German-style guesthouse located in the resort Bazna, an ideal place for accommodation, meetings or treatment very affordable prices. Pension offers a range of activities for both groups and individual tourists. Hotelul este situat la 10 kilometri de orasul Bistrita, pe DN 17, km 52 si ofera oaspetilor sai un nivel ridicat de servicii si confort. We offer accommodation in a nice 4 rooms apartment for everyone who wants to spent some beautiful days here in Brasov. Whether you will be traveling in BRASOV - ROMANIA with your family or a group of friends, our self-catering short-term furnished apartments are perfect for any occasion. We offer you apartments with 2-3 rooms. Hostel Boemia situated in the old town near the Black Church and Council Square. We rent a beautiful apartment for anyone who want to spent some lovely days in Brasov. Welcome to a 17th century Townhouse situated in the old city center of Brasov. Located in the heart of Brasov at only 5 minutes walk from the city centre CASA MATEI build in 1890, offers spacious and comfortable rooms with all new veritable wood furniture and free wireless internet access and also a breakfast area. Embrace a whole new accommodation style in our recently opened Ambient Residence! Here you can enjoy comfortable and cozy ambiance at very affordable prices, in our large serviced apartments located just in the centre of the old town of Brasov! Ambient Guest House is is one of the few establishments that has all the required facilities, has resonable prices and is situated in the heart of the city. Located ideally in the very heart of Brasov City, at the border between the old fortified city and the business quarter of the city, AMBIENT Hotel Complex is easy to access regardless of where one comes from. Apartament Bellevue Brasov offers accommodations in Braşov, 33. 8 km from Sinaia and 5. 8 km from Poiana Brasov. The property is 16. 1 km from Predeal and free private parking is provided. Situated in Braşov, this detached villa features a garden with a barbecue and a terrace. The property is 700 m from Paradisul Acvatic and free private parking is provided. Free WiFi is available throughout the property. Boutique Hostel a great location in, in the heart of Bucharest, the easier way to explore the city. The Hostel offers you with a low budget the comfort and style, providing fantastic facilities and services for groups and individuals! The apartments are located in the historical city center, are fully furnished and equipped and are suitable for holiday as well as business accommodation. Due to its friendly staff and relaxed atmosphere, this 3-star hotel will make guests feel like home. Tourists who want to spend a truly enjoyable holiday in Romania will find that the Tempo Hotel is a great choice for their stay. Welcome to Bucharest's most luxurious boutique hotel. Tired of the usual holiday? Come and meet new friends at X Hostel Bucharest, the city's newest party hostel! The apartment has a kitchen fitted with oven, microwave oven and dishwasher, as well as private bathroom. It is fitted with flat screen TV and CD/ DVD player. Excellent location? Friendly and knowledgeable staff? Comfy beds? Super clean? Find yourself at Holiday Hostel and check it out! Apartamente elegante chiar în centrul oraşului, lângă cartierul de afaceri şi comercial, cu multe atracţii turistice şi istorice, langa Gradina Cismigiu. Conveniently located downtown Bucharest, the newly rebuilt Cismigiu Hotel, one century old and one million stories rich, has come to life again. DEJA VU PENSION is a 14 rooms villa situated very close to the city center, clasified at 5 stars . Located in Cluj-Napoca, 10 minutes away by car from Iulius Mall and the old downtown of Cluj, in a peaceful area, Caramell Pension offers a welcoming and relaxing atmosphere, typical for the Transylvanian hospitality, for business men and tourists also. Opened in 2010, Hotel Alexis is located in the historic center of Cluj-Napoca. It offers air conditioned rooms with free Wi-Fi. Free indoor parking is available. The apartments offer individuality and independence and are a perfect base either for leisure or business trips. We are a new **** hotel, opened recently in the heart of Constanta. Deluxe rooms in a modern and cosy b&b inthe heart of Constanta at only 50 m from the city's beach. A building designed in 1913 which belonged to a famous lawyer of the time and has become a historic monument, located in the center of Constanta, is now Carol Hotel. Hotel Rexton este un hotel modern, situat semicentral care satisface toate exigentele. Hotel Stella Marina este locul ideal pentru vacanta voastra la Marea Neagra, impreuna cu familia sau cu prietenii. The Hotel Alpin Poiana Brasov ski resort is the perfect place to stay if you are planning a family or friend vacation where relaxation and comfort are top on the list of vacation priorities! This is a beautiful vila with 25 double rooms , perfect for summer season. Splendid Conference & Spa Hotel - Adults Only is located in the North of Mamaia resort, on the Siutghiol Lake shore, 200 meters from the Black Sea beach. Semiramis Hotel is 3 star Hotel covers an area of 14, 000 m² full of natural beauty, 50 m distance till sandy beach, comfortable accommodation, restaurant and bars as well as child play ground area, terrace. Located in Oradea, in a peaceful green oasis, Silver Hotel conference & spa represents the perfect destination for business meetings, seminars or conferences, as well as an ideal getaway for relaxing and resting pool. Pensiunea Casa Vânătorului 3***( margarete)este situată în localitatea Peștișani, județul Gorj, comuna natală a celebrului sculptor Constantin Brâncuși. Angelo D'oro is a residence with a distinct personality which appeals to each and every tourist in search of high quality services. 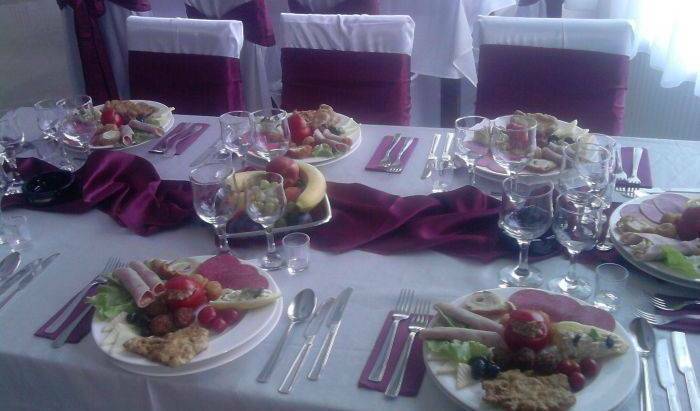 With a unique location, situated in the historic center of Ploiesti, near Ploiesti City Hall and 500 meters away from "Ilie Oana" football stadium, Prahova Plaza Hotel offers services at international standards quality. The German House is an extremely relaxing environment for every one. There are 17 Rooms, each with there own bathrooms. We're conveniently located and we pride ourselves on looking after all our customers. There are many great freebies on offer too! Welcome to Welt Hostel. We are a modern, fully redecorated hostel offering cheap accommodation right in the center of Sibiu. Opened in August 2013, it's a perfect place for accomodation in Sibiu. 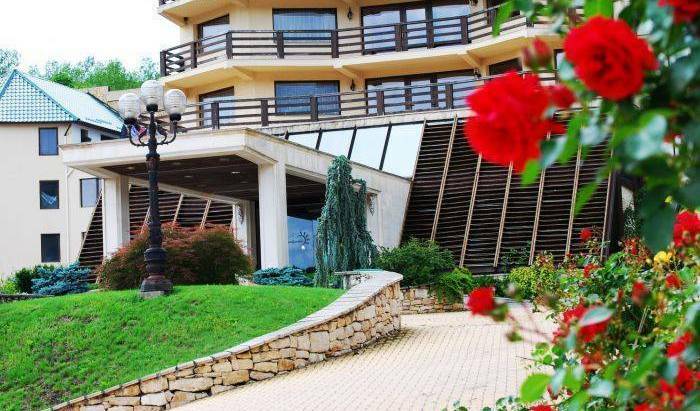 Located in Mill Garden Park at the bottom of Solovan Hill, Hotel Gradina Morii offers rooms with a minibar and cable TV. Free WiFi and free private parking are available on site. Situated in the medieval citadel of Sighisoara, an Unesco world-heritage site. 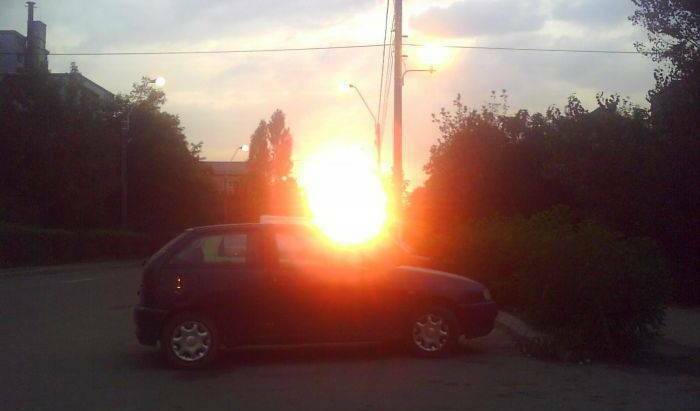 Aproape de gara de calatori si la 1. 5 km de Cetatea Medievala este amplasata Pensiunea "CHIC". Gastronomia, personalul tanar, decorul "CHIC" intregesc atmosfera unica, discreta. In close proximity to many tourists attractions, Elisabeta's Inn is the perfect solution for a comfortable stay with affordable prices. A luxury boutique hotel in a historical landmark from 1880. Located in Sovata, 500 metres from the Ursu Lake, Hostel Teleki features a restaurant, free WiFi in all areas, and free private parking at the property. True Romanian atmosphere at the best price in Suceava! Best Western Bucovina is one of the fewer and the only one branded 4 star hotel in Bucovina, reaching international standards, a welcoming " House of Bucovina", where a customer can experience our authentic hospitality. Venus *** Pensiune Timisoara is located in the central area at 5 minutes(walking distance) from : the Town Hospital, Dan Paltinisan stadium, Orthodox Cathedral and town center, in a quiet and select area. Given quality as granted, we are proud to offer our rooms at a reasonable price compared to the nearby hotels . 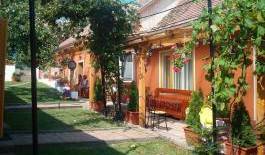 ANETTE Pension is situated in a picturesque area, at the border of Covaci village, away from crowded and polluted areas, but still just 6 km away from Timisoara. Cochet Pension is one of the newest location of this type in Timisoara. A beautiful wooden house, with a gorgeous view of the village and the hills covered with orchards, situated at 6 km from Sighet, Maramures. Modern property with excellent conditions in historic area of Northern Valahia, in the mountains. 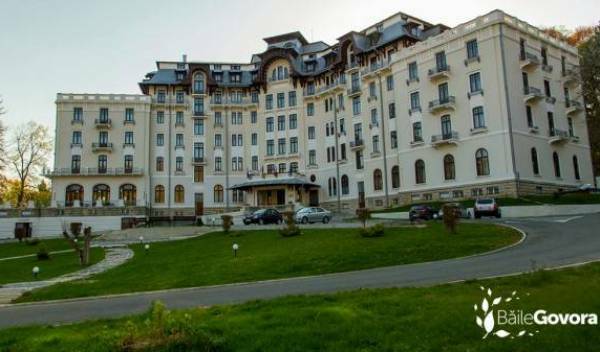 4 stars hotel in Bran, Romania next to famous Dracula's Castle.